I'va Newheart sharing the Good News! I’va Newheart joins Pastor Wallace to share the good news. 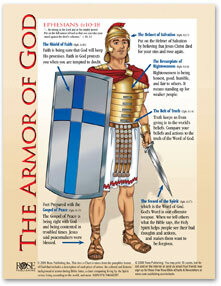 Learning about The Armor of God. Kids of Liberty learn about The Armor of God. Today was a lesson on the Helmet of Salvation. Having fun with I'va Newheart. 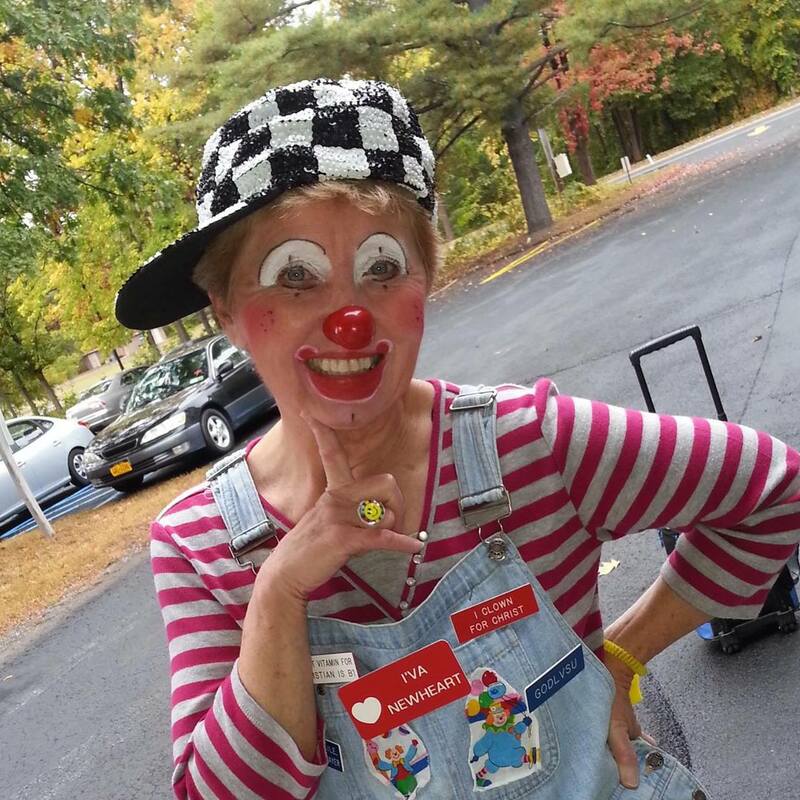 I’va Newheart frequently visits the Kids of Liberty to help reinforce lessons in a fun and positive way. Kids of Liberty provides instruction for kids of all ages to introduce them to the basic principles of the Bible. Kids Korner Sunday School meets during services every Sunday morning, after the opening worship portion of the service. Children will join the Liberty Kids worship leaders for a special lesson such as Bible basics, that Jesus Christ is Savior and Lord, and that inviting him into their hearts and lives is necessary for salvation. There are hands-on crafts/coloring projects for the younger children that correspond with the day’s lesson. 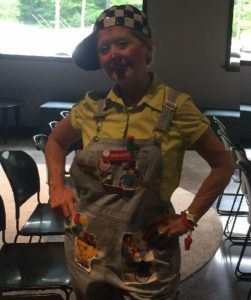 Frequently, “I’va Newheart” brings her clown ministry to class along with her puppets to teach and entertain the children. 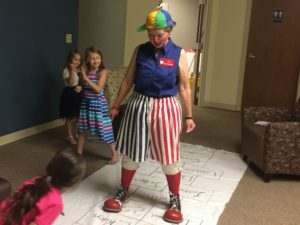 I’va gives the children an opportunity to all be “Newhearts” for God, and in a fun but true way, those who do receive Jesus as Lord and Savior become Newhearts, all sharing the ‘same last name’. Freedom in Christ is liberating for all and it is the desire of Liberty Christian Fellowship Church to plant the seeds of truth at a young age so they may grow to know, love and serve Him. 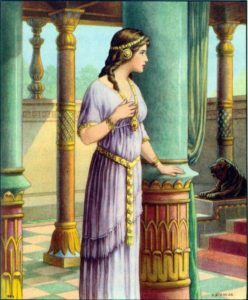 The Book of Esther shows how God has a purpose for all of us – whether we realize it or not. Esther was a young Jewish woman who lived in the city of Shushan and was raised by her cousin Mordecai as her parents had died. Mordecai loved and obeyed the One True God and taught Esther this as well. It is the same with us – whether we understand God’s purpose or not, He values us and uses us exactly where He places us. Our job isn’t to understand what God’s purpose or plan is. Our job is to trust God, obey His word and walk with Him every day. Esther was ‘was lovely in form and features’. Meaning that she was physically attractive. This is why King Xerxes chose Esther to be his Queen. Before Esther became Queen. Mordecai told her it was important to not tell anyone that she was a Jew. The Bible doesn’t tell us why Mordecai asked this of her, but he did. Esther obeyed Mordecai because he was like a father to her and she knew that God would want her to honor and obey the man who was as a father to her. Mordecai loved Esther very much and he sat at the king’s gate to be near to where Esther lived. One time while he was sitting by the gate he overheard two men planning to kill King Xerxes. He passed this information along to Ether and she told the King. The two men were put to death. Haman was one of King Xerxes’ highest officials in the kingdom. He was a very proud man who asked that King Xerxes make a law that others has to bow down to honor him. Mordecai knew it was against God’s commandments to bow down to anyone but Him. He would not bow down to honor Haman. This angered Haman and caused him to hate Mordecai. He knew that Mordecai was a Jew so that made Haman hate all Jews. Because Haman hated all the Jews he went to King Xerxes and asked the king to make a law that all the Jews to be killed. 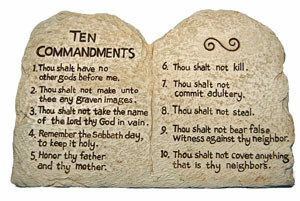 He said, “There are certain people who live in your land who do not obey the king’s laws.” The king listened to Haman and made a law that in the month of Adar all the Jews, men, women, and children would be destroyed. God loves His children and protects them from evil. He does not want His children hurt. Mordecai found out that the Jews were going to be destroyed. He had messengers go and tell Esther that she had to do something to stop this wicked plan. When Esther heard this news she was afraid as she knew that the king could have her killed if she angered him. Mordecai encouraged Esther and told her that it was for this time in her life that God had a plan to use her for His purposes. Even though Esther might die, she decided that she would go to the king and tell him of this wicked plan to destroy her people. Even if it meant she might die doing it. God gave courage to Esther to go before the king. God gives courage to His children so that they can do the work He has for them. Queen Esther was trusting God to show her what to do so when the King asked her what she wanted, she invited him and Haman to a banquet. Because Esther trusted God and His timing she didn’t rush to tell Xerxes about Haman’s wicked plan. Because she waited and acted only when the time was right, God was able to work in other events that would bring together His plan for this situation. She told the king that she was a Jew and there was a law that her people were going to be killed. The king was furious! “Who would dare to think about killing you?” The king loved his wife and the thought of her being killed made him angry. Esther pointed at Haman and said the enemy who wants to destroy the Jews is this wicked Haman!” This shows how God used Mordecai and Esther to save His people from destruction. We have been placed on this earth at this time in history for God’s plans and purposes. He knows all that is going on around us and He will use us to be a Godly influence in the lives of others around us if we choose to follow and obey Him. It may be that you have never been saved. When a person understands that they are a sinner and the only way that their sin can be forgiven is by believing that Jesus died on the Cross for their sins, was buried and rose again on the third day. When a person believes in Jesus, the Holy Spirit comes inside his/her heart and gives them the power to live a life that pleases God. It is only when the Holy Spirit lives inside of your heart that you can be a good influence in other’s lives. Today you can be saved. Let’s pray together as we read the Bible and ask for God’s forgiveness so that you can do this today. The Belt of Truth: The belt worn by a roman soldier was important because it firmly secured the soldier’s weapons needed to fight. If we are to stand up to evil, we must be firmly secured by the truth that is found only in Jesus. The Breastplate of Righteousness: The typical Roman soldier wore a protective covering to cover the vital organs, like the heart, the lungs, liver, etc. If any of these were injured, the life of the soldier would be in serious jeopardy. If we try to do battle over Satan’s enemies with only our own righteousness, we will never win. We need a righteousness that comes from our Savior. Feet with the Gospel of Peace: To do battle, a soldier must be prepared to go, and good strong sandals were absolutely necessary. Likewise, before we can do battle, we must be prepared, but our preparation comes from the Gospel. The Gospel is the good news about Jesus, and through it we can tell others how they can have peace with God. The Shield of Faith: The shield protected the Roman soldier from arrows and sword blows. Our spiritual enemies are constantly throwing arrows and thrusting swords towards us. The best way to deflect these blows is with the shield of faith. When we hold on to our shield, when we hold firm to our faith in Jesus, we can go forth boldly. The Helmet of Salvation: An essential item for a soldier’s survival. The helmet protects the head of the soldier, where there is the mind and spirit. Our salvation comes from Jesus, and it is a lasting protection until the day we are with Him in heaven. The Sword of the Spirit: The Roman sword was short and lightweight so they could use it easily. At close range, it was a deadly weapon. The sword of the spirit represents the Word of God. The Word of God is a powerful weapon, especially when used under the power and guidance of the Holy Spirit. 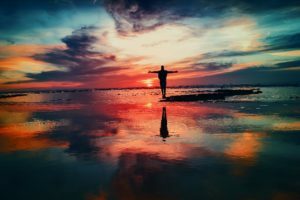 Eight lessons about how God loves us, our family, and the world. This is one of the most important lesson you will EVER teach ANYONE… GOD LOVES YOU! * God knows who I am * God knows all about me * God loves me just like I am right now * God is love * God’s love doesn’t ever change. Prayer to thank God for His love. I am Important to God. People need to know that they are important to God. The whole basis of the Christian faith rests on the reality that God cherishes us and cares for us. The facts that God knows who we are as individuals and that he cares about each and every one of us are very important to convey to children. Prayer to thank God that we are each important to him. Thank you that you care about each of us! Thank you that we are important to you! We love you back! Amen. 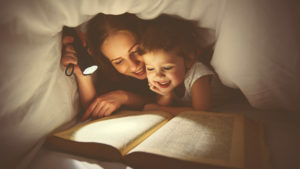 Families are central to the life of a child. They represent his/her world, especially when the child is very young. Children often do not understand that all families are not the same as theirs. 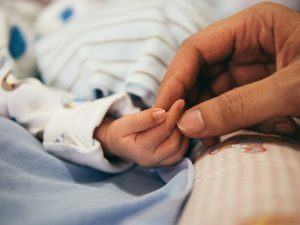 This lesson is offered to help talk about how God created families so that we could love each other, and take care of each other. In families parents and children have different roles. Everyone in a family is important. This lesson helps children think about who is in their family and what our responsibilities are to each other. Let the children know that God loves all the members of their family and that it is good for us to love our family members too. Prayer to thank God for making families. Thank you for making families! Thank you for our families! Help us to love everyone in our family! God loves us! 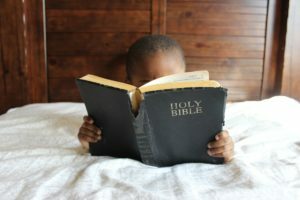 We teach the children that they can love God back!! The amazing thing about this is that no one can EVER take that away from them!! Everyone can love God all you want! He is big enough to take all of our love, from all of us, all of the time. And the REALLY amazing thing is that He never stops loving us. So, no matter how much love we give God, He gives us back MORE!!! Prayer to thank God that He loves us and we can love Him back. Thank you that we can love you back! We talk about what faith is. Children readily accept this spiritual concept and drink it all in without batting an eyelash. Children are amazing in their capacity to do just that. And when they finish listening to this lesson, they will understand faith as well as any grown-up. We believe this is why Jesus said that “the kingdom of heaven belongs to such as these” when referring to little children. Prayer to thank God that He gives us faith. Thank you that you love us! Thank you for giving us faith! Thank you that we can know you and trust you! Stability is so important for children. It is really great for them to learn that God never changes. So many things in their lives may change. People grow older, friends come and go, and schedules change. But no matter what else may change, God is good and He never changes. This is a very reassuring concept for young children to grasp. Prayer to thank God that He will always love us. Thank you that you never change! Thank you that you love us forever and ever! 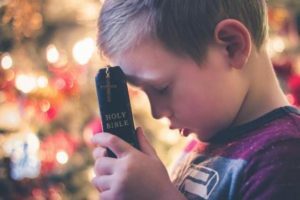 Teaching children about the Forgiveness offered by God through His Son, Jesus Christ, is the most important and life changing thing we can ever teach anybody. We are sowing seeds that will lead to the salvation of others! Prayer to thank God for sending Jesus and for forgiveness of our sins. Thank you for forgiveness of sin through him. We talk to children a lot today about tolerance, and about treating others equally or fairly. We talk and talk and talk. But many times we don’t give them a reason for them to treat others as we ask. This lesson lays the foundation for all human relationships. The reason we are to treat others well, or as we wish to be treated ourselves, is that God loves everybody! Since God created all of us, and loves all of us, and values each of us, we should follow His example and love others as He loves them. Prayer to thank God for loving us and that He taught us to love others. Thank you for helping us show love to others. Thank you that you love everybody! 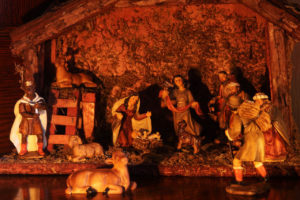 Six lessons about how the true meaning of Christmas. At Christmas we celebrate Jesus’ birthday! Mary was Jesus’ mother. God is Jesus’ father. God had promised that the Savior was to be born in Bethlehem. An angel talked to Mary and Joseph. Mary and Joseph traveled to Bethlehem. The Savior, God’s Son (Jesus) would be born soon! God was keeping His promises! The Savior was to be born soon. Mary and Joseph traveled to Bethlehem. There was no room for them in the inn! Baby Jesus was born in the stable in Bethlehem. The Savior, Jesus, was born in Bethlehem. Angels told the Good News to the shepherds. The shepherds came to worship Jesus. The wise men saw a star in the sky. They knew the star meant that the Savior had been born. They went searching for the Savior. When they found Him they gave Him gifts and worshiped Him. Jesus is God’s gift to us! God sent an angel to warn Joseph about some danger! God told them to escape to Egypt. Joseph did what God said to do. The LORD watched over Jesus and His family! He watches over you too! To help the children with the sequence of events, we are creating a timeline. Each week after the lesson, we review the timeline and add to the timeline (a picture, craft, etc.) to represent the lesson completed. 38 Two rebels were crucified with him, one on his right and one on his left. 39 Those who passed by hurled insults at him, shaking their heads40 and saying, “You who are going to destroy the temple and build it in three days, save yourself! Come down from the cross, if you are the Son of God!” 41 In the same way the chief priests, the teachers of the law and the elders mocked him. 42 “He saved others,” they said, “but he can’t save himself! He’s the king of Israel! 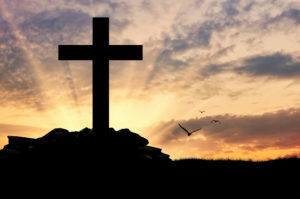 Let him come down now from the cross, and we will believe in him. 43 He trusts in God. Let God rescue himnow if he wants him, for he said, ‘I am the Son of God.’” 44 In the same way the rebels who were crucified with him also heaped insults on him. 11 While the women were on their way, some of the guards went into the city and reported to the chief priests everything that had happened.12 When the chief priests had met with the elders and devised a plan, they gave the soldiers a large sum of money, 13 telling them, “You are to say, ‘His disciples came during the night and stole him away while we were asleep.’ 14 If this report gets to the governor, we will satisfy him and keep you out of trouble.” 15 So the soldiers took the money and did as they were instructed. And this story has been widely circulated among the Jews to this very day. Over the last half of 2017, we will be learning about the books of the Bible. Along with memorizing the names of the books, we will be reading verses from each book and talking about how they can help us in everyday life. Old Testament (39 Books): Genesis, Exodus, Leviticus, Numbers, Deuteronomy, Joshua, Judges, Ruth, 1 Samuel, 2 Samuel, 1 Kings, 2 Kings, 1 Chronicles, 2 Chronicles, Ezra, Nehemiah, Esther, Job, Psalms, Proverbs, Ecclesiastes, Song of Solomon, Isaiah, Jeremiah, Lamentations, Ezekiel, Daniel, Hosea, Joel, Amos, Obadiah, Jonah, Micah, Nahum, Habakkuk, Zephaniah, Haggai, Zechariah, Malachi. New Testament (27 Books): Matthew, Mark, Luke, John, Acts, Romans, 1 Corinthians, 2 Corinthians, Galatians, Ephesians, Philippians, Colossians, 1 Thessalonians, 2 Thessalonians, 1 Timothy, 2 Timothy, Titus, Philemon, Hebrews, James, 1 Peter, 2 Peter, 1 John, 2 John, 3 John, Jude, Revelation. I’va Newheart will be visiting to help the children remember all 66 books of the Bible, using songs and puppets. We’ve been exploring the New Testament reading about how Jesus calls us to be “Fisher of Men”. Below are some of the verses studied in this lesson series. 18 Now as Jesus was walking by the Sea of Galilee, He saw two brothers, Simon who was called Peter, and Andrew his brother, casting a net into the sea; for they were fishermen. 19 And He *said to them, “[a]Follow Me, and I will make you fishers of men.” 20 Immediately they left their nets and followed Him. 21 Going on from there He saw two other brothers, [b]James the son of Zebedee, and [c]John his brother, in the boat with Zebedee their father, mending their nets; and He called them.22 Immediately they left the boat and their father, and followed Him. 16 As He was going along by the Sea of Galilee, He saw Simon and Andrew, the brother of Simon, casting a net in the sea; for they were fishermen. 17 And Jesus said to them, “Follow Me, and I will make you become fishers of men.” 18 Immediately they left their nets and followed Him. 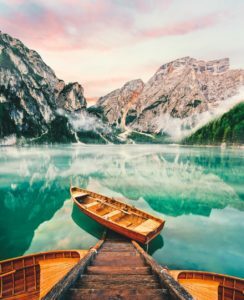 19 Going on a little farther, He saw [a]James the son of Zebedee, and John his brother, who were also in the boat mending the nets.20 Immediately He called them; and they left their father Zebedee in the boat with the hired servants, and went away [b]to follow Him. 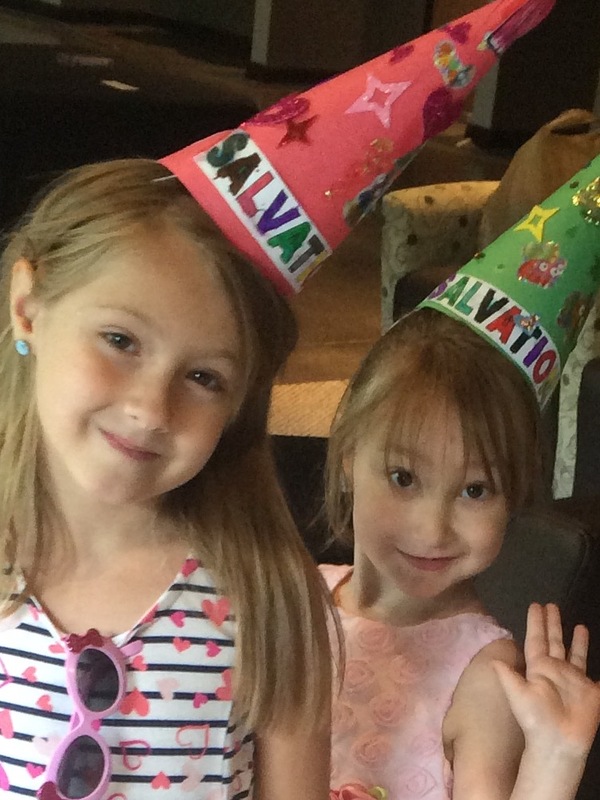 The Kids of Liberty have completed a lesson series on Salvation. In this series, the Kids completed many activies, such as drawing pictures of their familes and discussing how God made families. He made families to take care of one another because he loves each of us. Other activities included word searches, crossword puzzles, crafts and video’s on how we join God’s family. A sample activity is below. 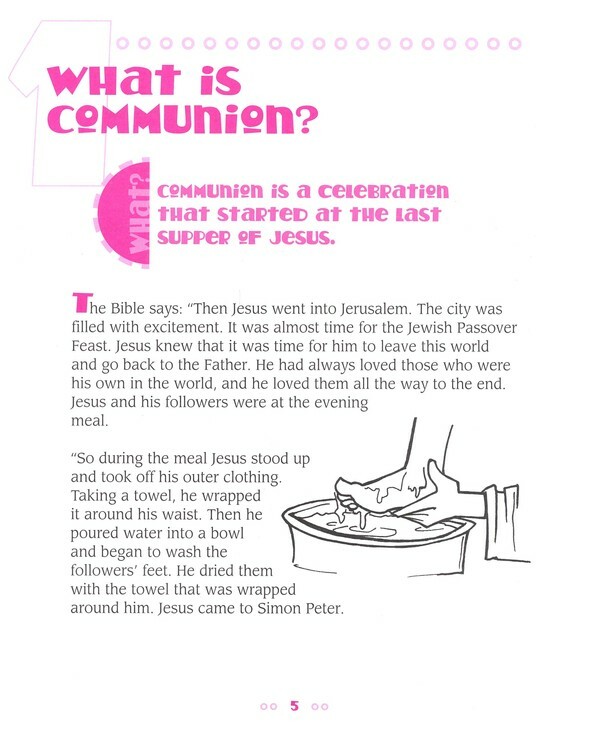 Communion: A Bible Study Workbook for Kids by Richard E. Todd. 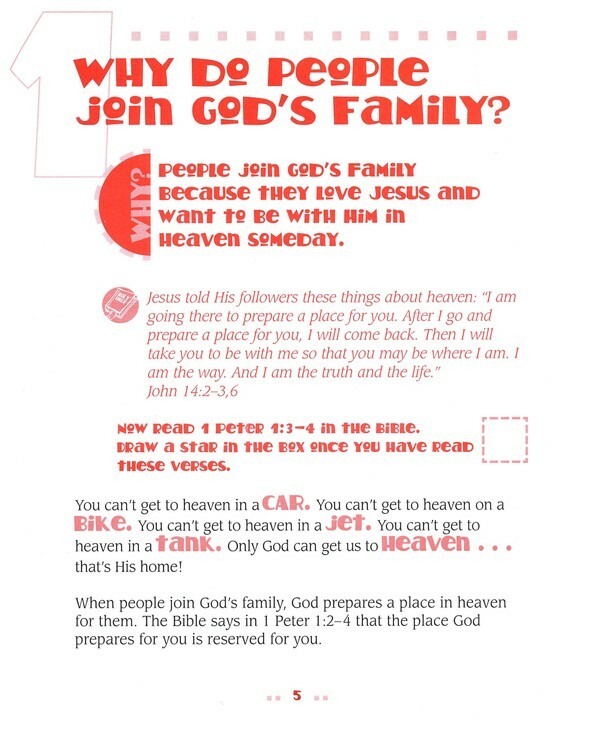 Below is a sample page from the workbook. The kids are also having fun doing other crafts/activities and watching video’s to better understand the meaning of Communion.